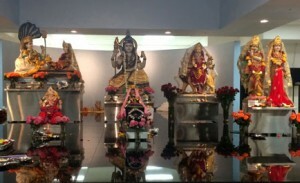 In 1991 the Hindu Society of America set out to establish a temple in South Florida area to provide a center which allowed the teaching of Hinduism to the community. Over the years the temple has evolved in aquiring a plot of land and building an office building which serves as the temporary location of worship:Directly adjacent to the building is the main temple building currently under construction. This construction is under strict guidelines for the construction of a temple. The property formerly a mango farm is located near mass transit and main roads. We invite you and your family to attend our weekly service and witness a rare opportunity to participate in the construction of a traditional temple. 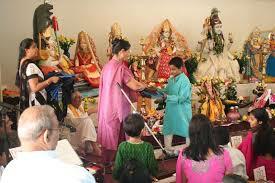 If you have kids please enroll them in the Bal Vihar class, to learn more in detail the hindu religion. The standards set forth in the Hindu Mandir was defined in the 6th century AD and has remained the same since. Mandir is consist of the Shikhara or pinnacle of the garbhagriha that houses the deities and is accessible via a door through the Mandapa or fall where devotees sit for worship. This project will preserve the rich heritage of Hindu religion and culture and benefit not only the current generation but also future generations to come. A Temple should always face east which is considered the most auspicious. 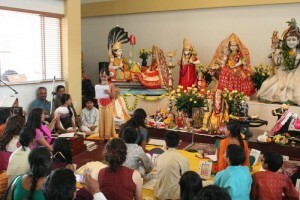 The building materials should be made up of stone, marble, brick, plaster and wood for the main body of the temple. Only organic material should be used. The rites and execution of various pooja summoned by a qualified priest are not mere ceremonies or accessories, they sustain the temple in their own sphere of effectiveness to the same extent that the actual foundation support its weight. (we had several ceremonies on the land – starting a decade ago with the 1st being MahaShivratri, Janamastmi annually and once we were ready to start the construction we had the madasudharsanahomam for the site clearance and the laying of the bricks ceremony).